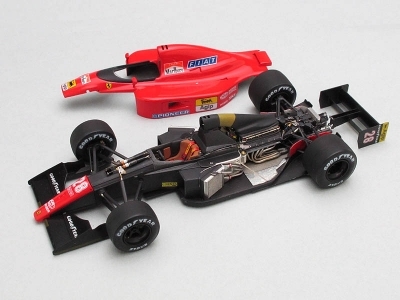 For these days I devoted to repair this Ferrari 643 which I built four years ago. Check the process at here. 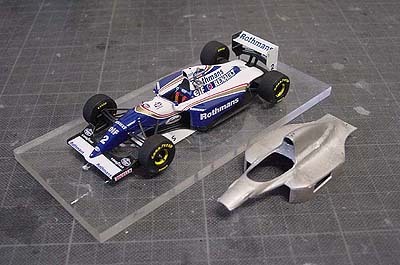 I've updated my site today you'd see my first model in 1/43 scale and the other early things. 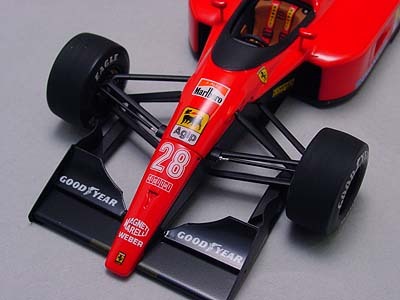 Now I'm still busy to make details of MakeUp's Ferrari 643. 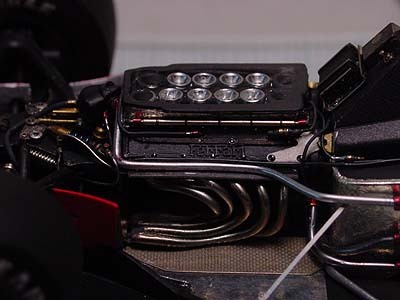 This weekend I spent a lot of time to write an article of MakeUp's Ferrari 643. 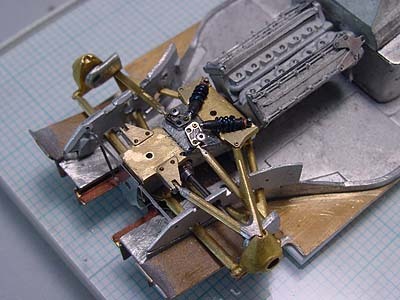 I also picked up the images from my degital cammera that show the process of model-building, and then sent them to Sankaido editor's office. Okay, mission accomplished! I'm going to prepare to build the next one. Yesterday I had a deadline of this Ferrari 643 for next issue of F1MODELING magazine. 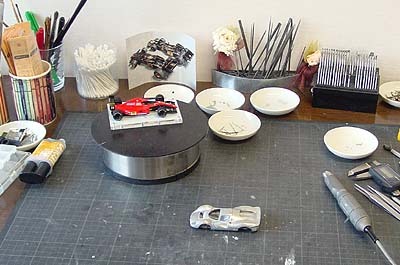 I made out of it, however, so many details have fallen off the model... maybe it needs one more week to complete it.